What..!! Do you make changes to your WordPress site but results are not visible? Have you customized the look of your site but getting no effects? Having a tough luck with your site as WordPress page updates not working? Don’t panic if your WordPress is not responding as expected. 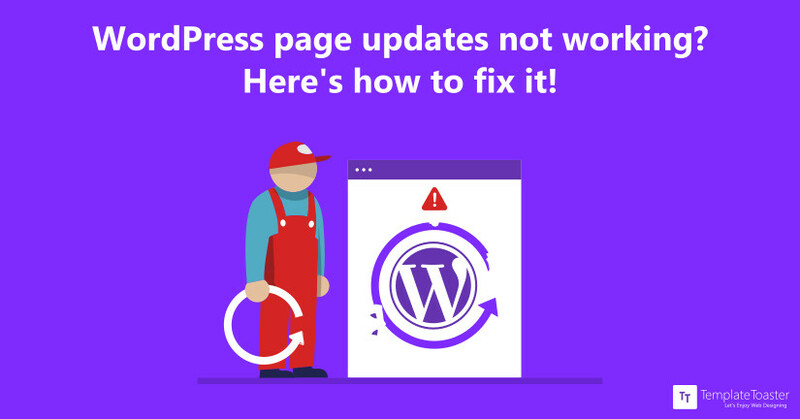 Here is the solution to your problems – learn how to fix WordPress page updates not working. 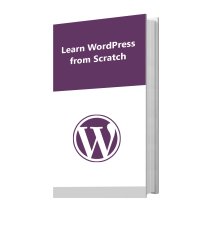 Adding changes to your WordPress site is a good practice to keep it worth reading. But what to do, if the changes you did in content or design are not committed. Actually, WordPress pages are not getting updated with the changes you did. It is really unfortunate. I got many queries that users made many changes to WordPress theme, page, post or widget. But, changes or the edits are not happening at all after saving or publishing. How will you fix it? Let’s discuss it in detail “how to fix WordPress page updates not working”. WordPress Homepage not updating: The most common problem is when you publish a new blog post, you can view it from WordPress admin area. But, you can’t see it from the frontend on the main page. WordPress Content / CSS changes not updating: You try to customize your website by adding some CSS and changing the layout. But, your site doesn’t reflect any changes after saving it. WordPress Plugins not updating: You make some changes to plugins, widgets or sidebars, but updates are not visible. One of the main causes of the issue is poorly configured WordPress cache plugin. Most of the users have caching plugins like Autoptimize, W3 Total Cache, WP super cache etc. Basically, these plugins clear the cache when some changes are made to your site. However, if the plugin is configured poorly, the cache may not be cleared and the old version of your site still appears. You will try to empty all caches. This can be easily done by plugin settings. Suppose, you have a W3 Total Cache plugin. Go to its Settings page and click empty cache option. Now, all the changes will be visible on the main page. You can also control that what should be cached by the plugin. W3 Total Cache provides this with page cache functionality. Move to the menu under Page Cache. There is an option that allows not to cache the front page. As by default, the front page is cached, checking this option will not cache the front page. If none of these solutions work for you, you can try disabling the cache plugin. For that just deactivate the plugin. Navigate to Installed Plugins list from left pane of WordPress dashboard and Deactivate the cache plugins. CDN is a network that accelerates the content around the world via distributed edge servers. Whenever a user comes to your site, gets redirected to host server. A host server is located at a central position. But if traffic is high, all the users still try to access the same single host server. It delays the content delivery. Here, CDN helps through its wide network. It caches the static content and stores it at all of its servers. Now, your user will be redirected to the nearest CDN server location. Sometimes, you made changes but the CDN content is not refreshed. So, you will not able to see the expected results. You mainly enable the CDN with a cache plugin. you can try to disable or bypass CDN temporarily. To disable, go to General settings of the W3 Total Cache plugin and uncheck the CDN Enable option. CDN off will make work your WordPress site as expected. Now, all the changes will be visible. Sometimes, browsers will display a cached version of your website instead of the new one. Generally, when you visit a webpage for the first time, your browser takes a while to load the content. But next time, the content is showed up at once. This is because the browser stores the information that doesn’t change, on your computer. This is called browser cache that speeds up the page loading. However, the problem arises when you make a change on your website. Most of the browsers do not update the cached data, so it reloads the old content. It seems to you that WordPress not updating. Internet Explorer – Hold the SHIFT button and click the REFRESH button. You can also do it from Gear wheel. Safety →Delete browsing History → Temporary Internet files and Website files. Then, click Delete. Safari – Go to the browser menu, and click Safari → Reset → Empty Cache or click CTRL+ALT+E. Opera – Go to Settings → Preferences → Advanced → History. Select the Disk Cache section and empty the cache by clicking Empty Now. You can also use CTRL+SHIFT+DELETE to open this menu and delete private data. Some shared hosting providers also have the cache on their server. They use web page caching tools. Because of these tools cached version of your site expires after a specific time. And, the newly updated site will be visible after that only. You can set web page caching off via your web host’s configuration panel. If not, you can contact your web host for disabling the web page caching. Sometimes, very silly mistakes cause the big problems. You may make changes to the different file and view the different file. For example- you fixed the stylel.css file and viewing the styleI.css file. The first filename is followed by lowercase “L” and the file chosen to locate changes has filename followed by uppercase “i”. Pay attention to the source file and specific file chosen to view the changes. Try to give distinct easily distinguishable names to different files and folders of your website. Secondly, match your URL settings in your options panel to the database. You face this problem when you are working on one theme but by mistake checking the page that is generated from some other theme. Match the pages you made the changes and the page you are viewing. Sometimes, you overwrite the file but it didn’t get overwritten completely. So, delete the original file from the host server and upload the new one. Even, the designers, developers, programmers can commit small mistakes. They forgot to save changes by clicking save or update buttons. Just go back and save the modifications. Now, review your webpage. A small coding mistake like skipping a semicolon (;) will let you pay heavily. It will not update your page. Review your updated code. Figure out the misspelled tags and skipped semi-colons etc. if any. Also, recheck your templates and uploads as well as debug the CSS, HTML, and PHP of your site. If you have recently moved your site to a new server, it’s possible that DNS is not propagated completely yet. Your browsers might be getting the page from the old server. So, it will show the old content. It’s better if you can avoid any new changes until your DNS gets propagated completely. Usually, you have to wait only for 24 hours. But if you still want to modify, you can do it by logging into hosting panel. Which method you use to fix WordPress page updates not working ? WordPress page updates not working is a common issue encountered by users. Though the main cause after this issue is only the cache. If you clear all the caches, the probability of errors or changes not visible, will greatly reduce. The secondary cause arises due to human behavior like coding errors, file naming etc. So keep checking for those errors or mistakes and avoid dwelling on such issues. Are you facing some common issues with designing your website as well? 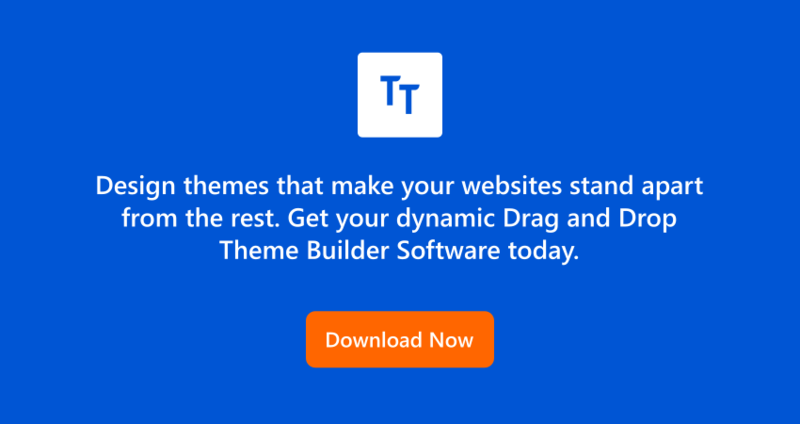 Give TemplateToaster website builder software a try. It empowers you to create stunning websites in no time. Hopefully, this article will help you out. If you have any queries, kindly post in the comment section below.